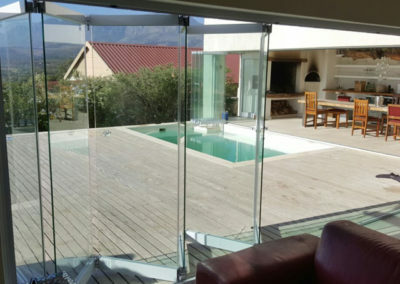 The Neofold System is our solution for the entry-level Frameless market, it is a perfect marriage between the classic bi-fold doors and our Frameless Glass doors, providing you with the easiest opening action ever seen in the Frameless world. 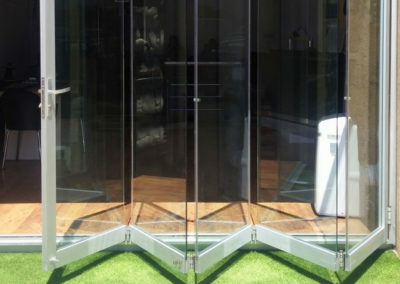 Other than the traditional frameless options, these doors fold together. You however still have the option to fold left or right, but this system can only fold outward. The Neofold fits into the outer frame of most aluminium folding solutions on the market, making an upgrade to an unobtrusive view a very real option. Double-lip seals throughout system, running full height. UV stable Weather-seals will not turn yellow in sun. 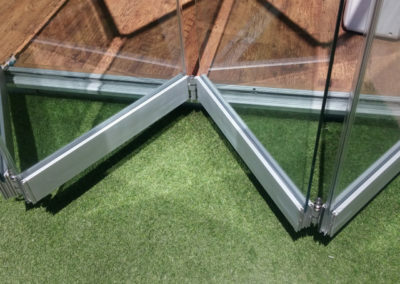 Can be installed in tracks of most existing framed folding doors without replacing outer frame. This means no chopping into plaster resulting in a dust free installation. No Uprights to spoil your views. Dry fit clamp sections for easy installation and onsite adjustments. 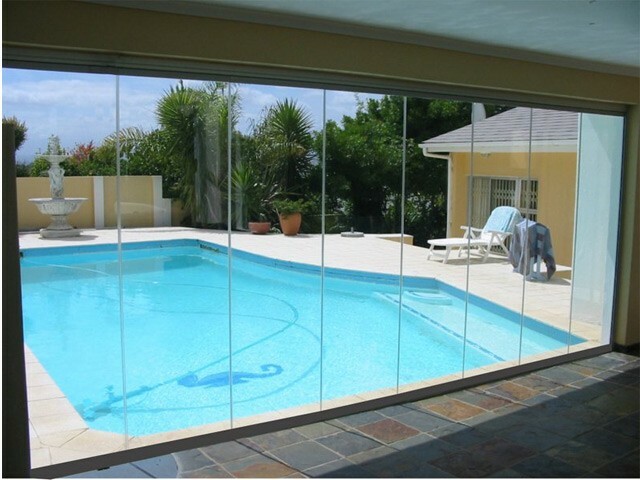 Available in 8 or 10mm toughened Safety glass. 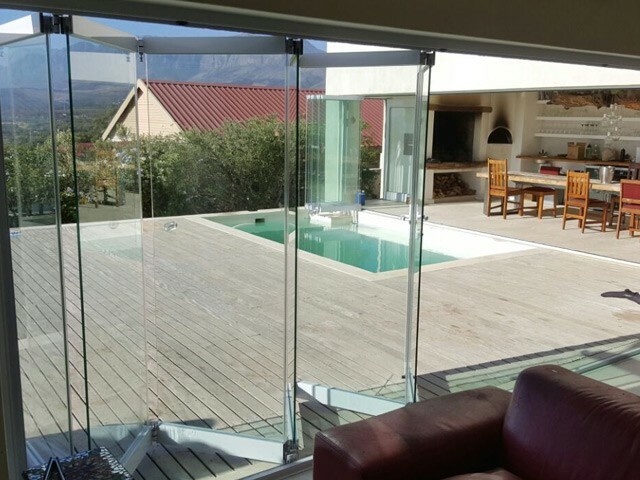 Upgrade from framed to frameless using existing tracks from most framed stack doors. Can be used as access door. Bottom Running, this improves installation process. Lock with key on both sides (Thumb-lock option in inside available). Stainless steel locking-pins top and Bottom. 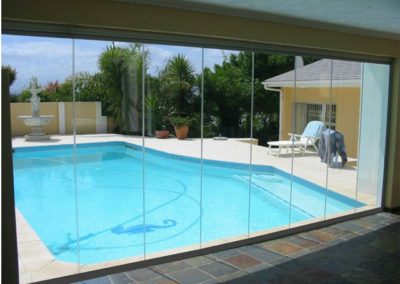 8 or 10mm Toughened Safety glass 200% stronger. 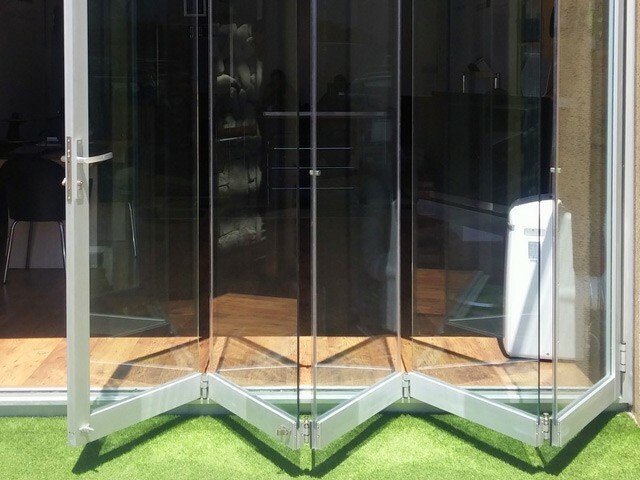 4mm Normal sliding doors – 6.38mm in Framed stack doors. 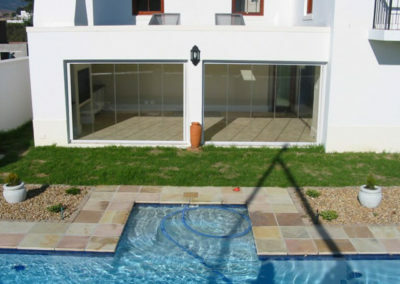 75kg Per Panel (this equals to a 3 x 1m panel with 10mm glass). Max Height 2400mm. Available in all standard aluminium colours (White; Bronze; Matt Charcoal). Nonstandard colours on special request. Hardware in White, Bronze; Matt Charcoal; Black and Natural. I wish to place on record how satisfied I was with workmanship provided by your staff who completed the installation.The team were very courteous and tidy workers. I have no hesitation in recommending your Company in the future. Nick, I would like to congratulate you and your team for a job well done. 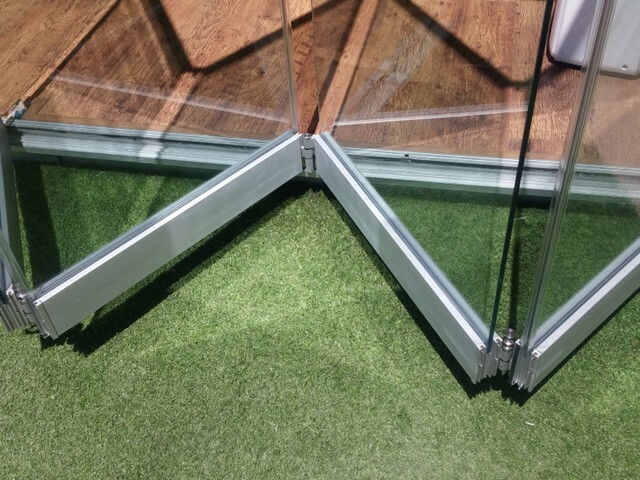 I am really impressed with the product, it stood up to very strong winds and theses doors are airtight. 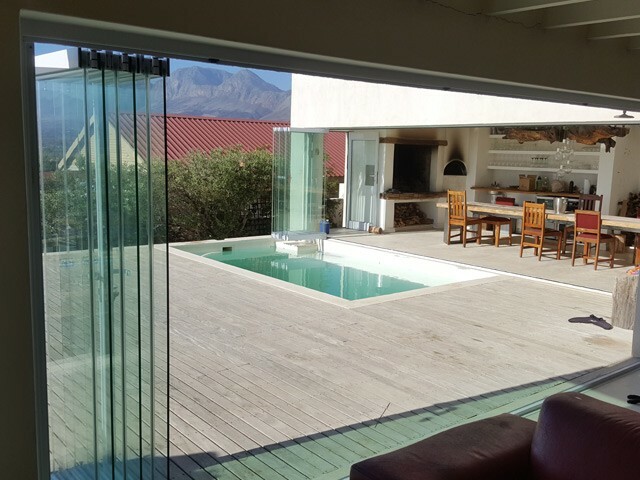 The other thing that impressed me was the level of service, quick efficient clean and courteous. Thank you for a job well done.